I've decided what I am going to be tomorrow night for Halloween: A knight. Well, the knight is going to be on my back. I'll be the knight's noble steed -- a horse, or maybe a dragon! Or maybe I'm supposed to be a giant legendary canine like a direwolf from Game of Thrones, or a warg from The Lord of the Rings. I really have to think this through tomorrow morning. 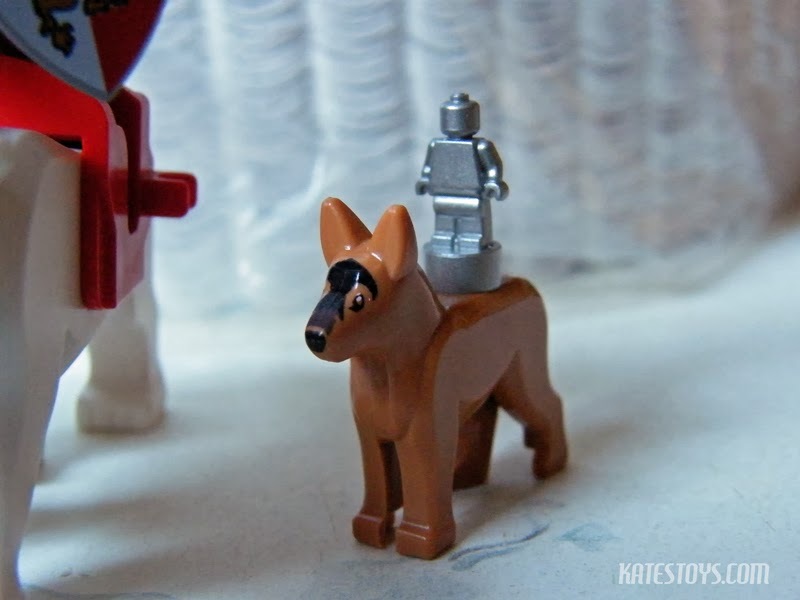 Anyhow, I got the armored knight and saddle from Target last weekend. There were three dog-as-horse costumes available that day: A cowgirl, a green-blue knight, and a red-yellow knight. There was literally one cowgirl in my size (large, if you're asking), one green-blue knight, and one red-yellow knight. 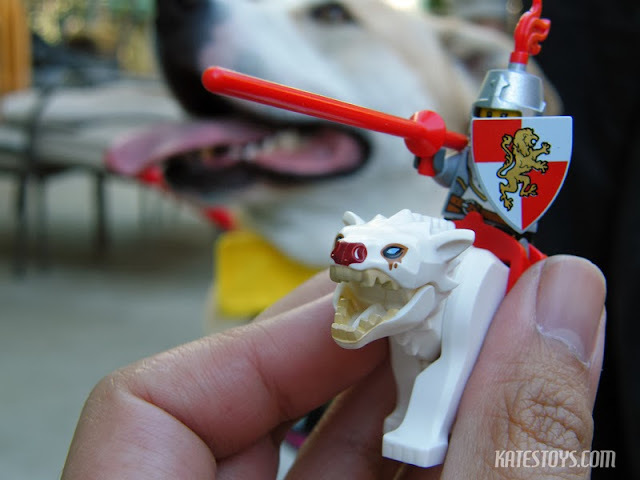 I ended up with the red-yellow knight. All costumes were on sale last weekend. If there are any costumes left right now, they are probably at a deep discount. Or maybe they are price-gouged, depending where you shop. Medieval Times, Dinner and Tournament. It's not quite the same on two legs. This is pretty accurate in its simplicity. 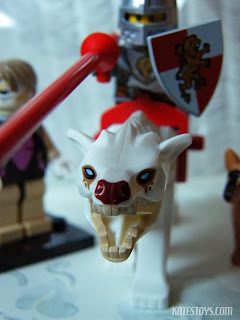 I like the Lannister-on-Warg LEGO re-creation the best. 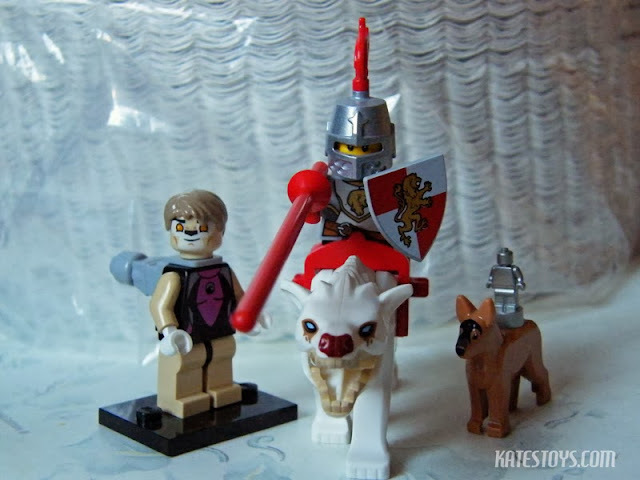 It's not totally accurate, but with the red lance, the knight-in-shining-armor, and the ferocious giant canine are close enough. I also like the simplicity of the police K9 and shiny silver trophy (imagination counts). 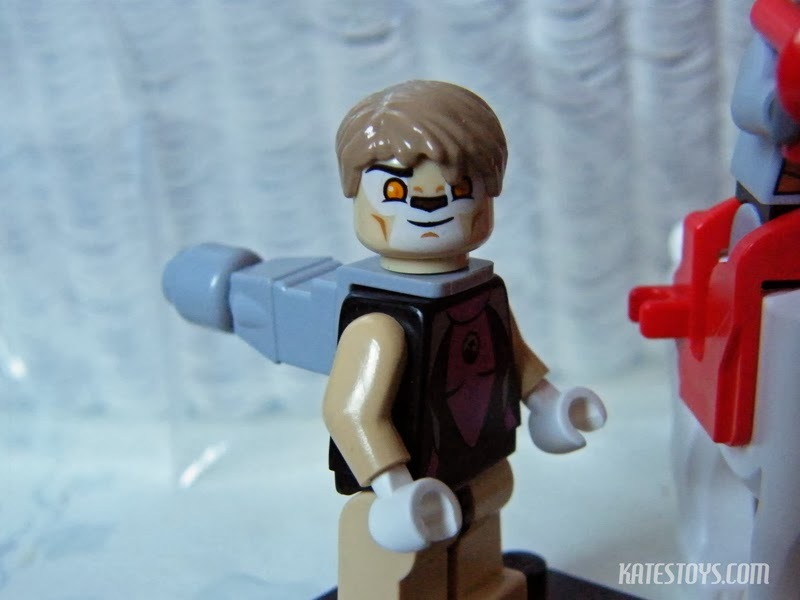 Anthropomorphic K8 with a microfigure on her back doesn't work at all. 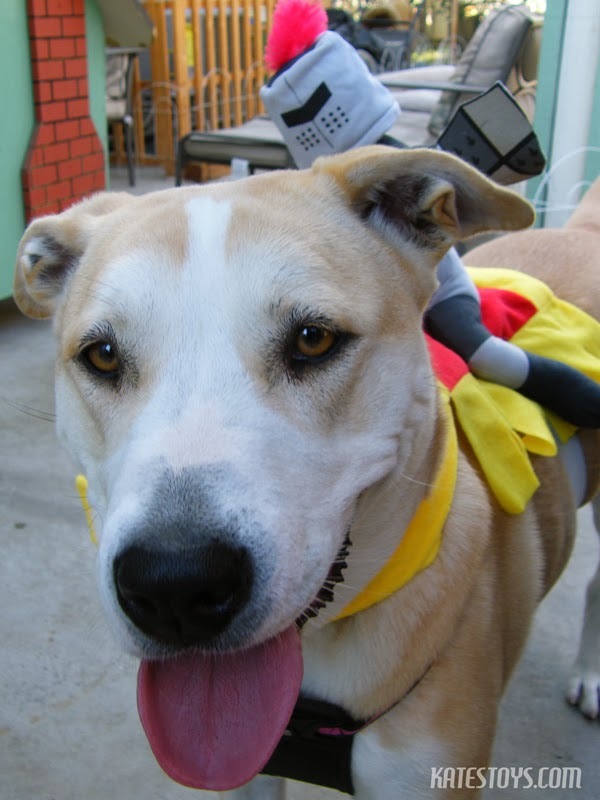 Anyhow, I am really, really, really excited for Halloween tomorrow night. 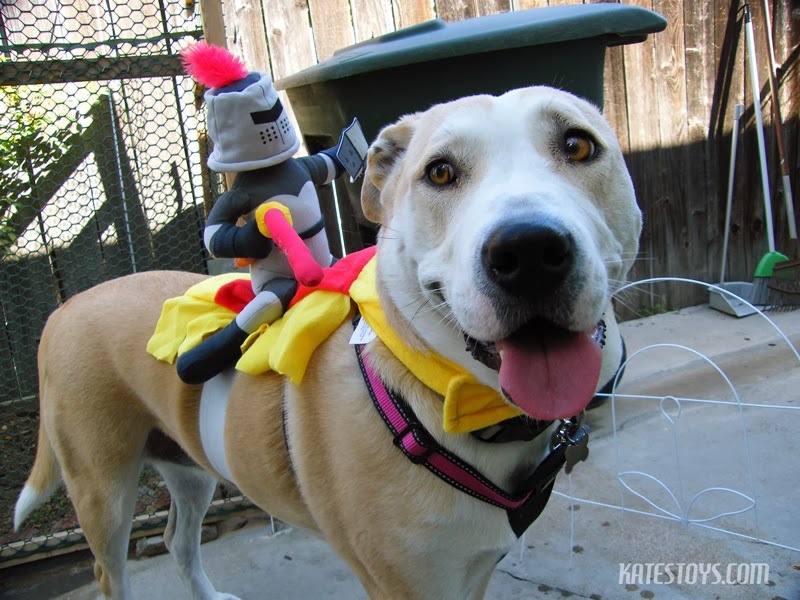 I hope to get a lot of treats (especially Milk-Bone and Beggin Strips), and perhaps win a jousting tournament or two. The Blackwater is my pee on the pavement.